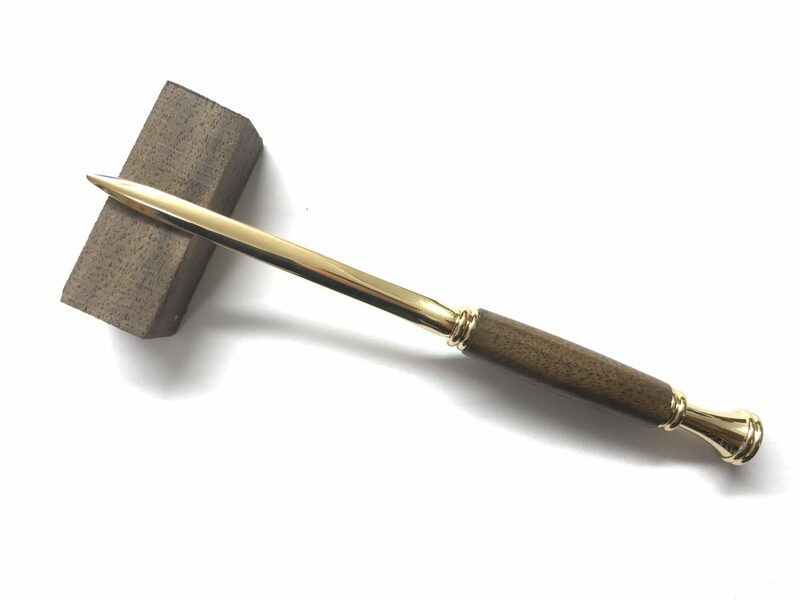 Our letter opener is available in different wood types. Please note that handle design can vary slightly depending on wood type selected. The letter opener shown has a Walnut handle and is in Gold trim. Letter Opener boxes ONLY AVAILABLE IN BLACK.